We had to wait a little longer than usual this year, but Game of Thrones is back! The penultimate season is expected to be packed with dramatic action, and we may even begin to see some resolution to major plot points. Big questions about the season include things like whether Jon Snow and Daenerys Targaryen will end up together, what Cersei’s fate is, and if we’ll see the Wall fall. Hopefully, we’ll have some answers in a matter of weeks! In the meantime, there’s no shame in celebrating the return of (arguably) television’s most popular show. Game Of Thrones has become a cultural event of sorts, rather than just a TV show, so it’s worth making a big deal over. Speaking of which, here are a few fun ways to celebrate its return. We’ve been hearing rumors of Game Of Thrones wines for a while now, and they were announced earlier this year. Thanks to a partnership between HBO Global Licensing and Vintage Wine Estates, there are now three bottles that carry the name of the show. If you’re curious, they include a Chardonnay, a red blend, and a Cabernet Sauvignon (which, as the announcement put it, would bring a smile to the lips of any Lannister). If you’re into throwing watch parties on Sunday nights so you and your friends can view Thrones together, try to get your hands on a few of these wines. They’ll put everyone in the perfect mood to enjoy the show even more. Generally speaking, the idea of a mortality pool is fairly despicable. But in a show that frequently makes a major event out of killing off major characters, it’s a fun way to speculate about the action. In advance of the premiere, sports and pop culture site The Ringer actually laid out the rules for a very fun mortality pool game where you and your friends make predictions about which characters might be killed off in each episode. It’s kind of morbid, but that’s the name of the game in Westeros. This is a fun way to add an extra element of entertainment to the viewing process. There are a few different Game Of Thrones video games out there, and playing them can be a nice way to get back in a Westerosi mood. The most prominent example is the Telltale Games series that allows you to play through a narrative experience in the world of the show. But that isn’t the only option. If you’re looking for a more casual game Thrones has also provided the theme for some arcade slot machines online. In fact, the Thrones slot was named as one of the best games of 2017 in this category. This could be considered another Thrones game, and it can also work hand-in-hand with your watch parties while you sip on the wines of Westeros. Either way, you can download this version of “Cards Against Humanity,” packed with phrases and terms relating to the show, with ease. It’s a great way to have some fun with friends and surround yourself in Thrones material. We waited for so long! 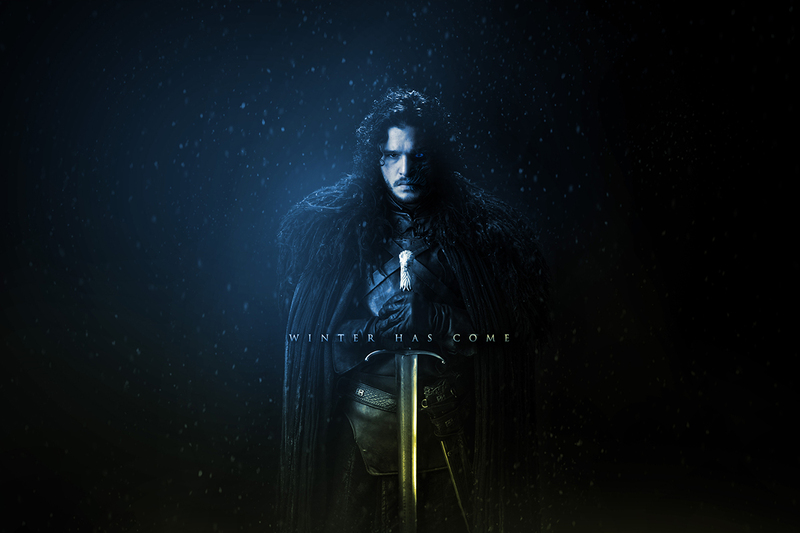 Winter has come… in the middle of Summer! Goosebumps! Can’t wait to see another episode! Header image credits: hdwallpapers.in, disclaimer.